Abby, the youngest member of the fishing party, showed everyone how to catch fish. 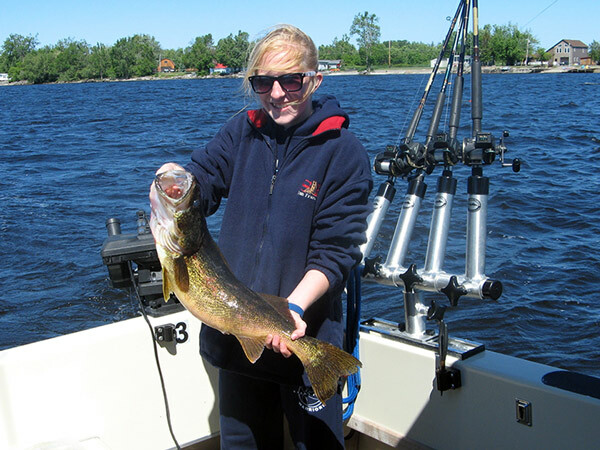 She managed not only to land a 10 pound trophy Walleye, but also a hefty 10 pound Northern Pike! Her Mom, Liz, and Grampa Carl, added three more big Walleyes to the total. Kevin and his Dad, Glen, got in the action by catching another Northern and big Sheepshead to add to the final tally. All in all, in spite of the waves, there was plenty of sunshine, a lot of smiles and a good time had aboard the Milky Way! 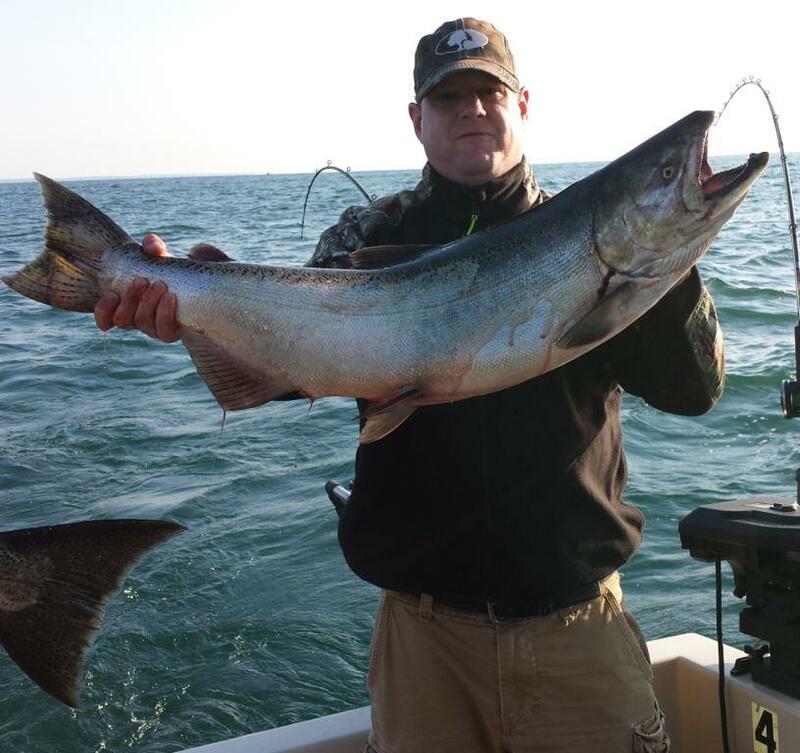 In spite of the rough seas of Lake Ontario and 40 degree temperatures, Tim Rooker Jr. and Sr. had to endure in May 2014, they returned this year to try another Spring fishing trip and this time the weather cooperated! 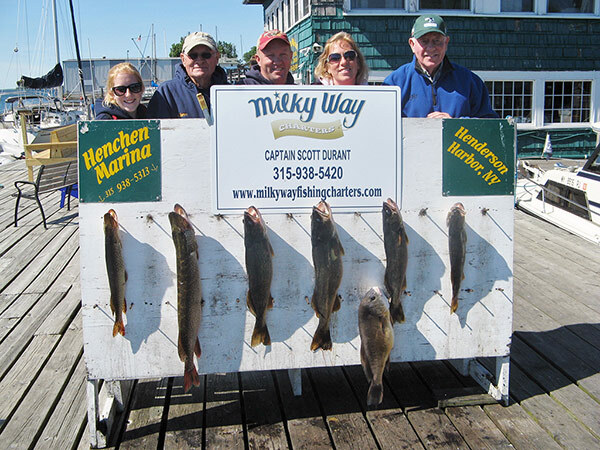 That's Right - A Bob Wright Lake Trout Limit! On Wednesday, September 17th, fishing in some pretty rough water, the fishermen/women from the Bob Wright party were able to pull aboard their limit of Lake Trout along with one Brown Trout! Although limited by.